Fernando Martín Monar was born in San Cristóbal de La Laguna, Canary Islands, Spain. He works as assistant professor at the Department of System Engineering and Automation. He received his Ph.D. Degree in Electric, Electronics, and Industrial Automation Engineering from the Carlos III University of Madrid in 2012. He received his M.Sc. Degree in Robotics and Automation from the Carlos III University of Madrid in 2008. He has made research/working stays of 3-4 months in ETH Zürich (2010) and University of Technology, Sydney (2012, 2013). He studied Industrial Engineering specialized in automatic and industrial electronics at the Carlos III University of Madrid (2005). He attended high school at Cabrera Pinto in La Laguna, Canary Islands. His research is mainly focused on mobile robots. The topics are: Evolutionary-based (Differential Evolution) Global Localization and Scan Matching, Loop Detection, SLAM, Control Engineering, and Smart Actuators applied to Exoskeletons. The objective is to improve the autonomy of the mobile manipulator MANFRED-2 (right figure), which is a mobile robot fully developed by the Robotics Lab research group of the Systems Engineering and Automation Department of the Carlos III University of Madrid. 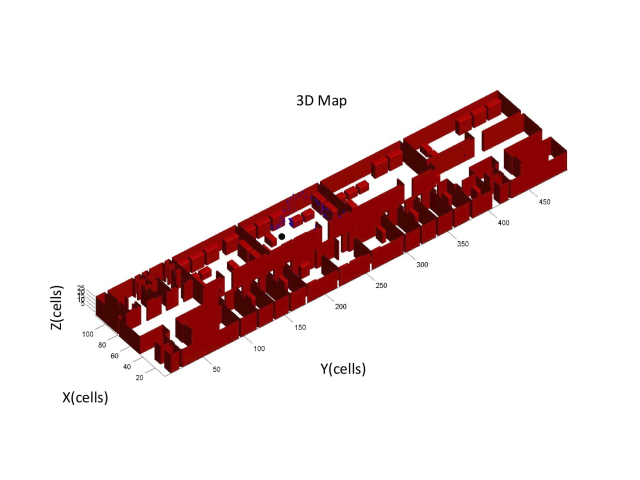 Global Localization (search of the robot’s coordinates in a known environment without initial information): he has developed an algorithm that solves this problem in 3D environments (figure below) using Differential Evolution (DE), which is a particle-based evolutionary algorithm that evolves in time to the solution that yields the cost function lowest value. 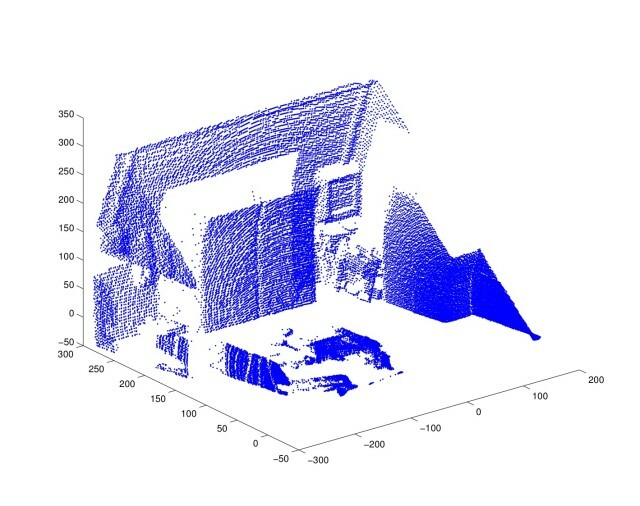 Scan Matching : if the environment information is given by laser readings (figure below), it is essential to correct the local errors between pairs of scans to improve the map quality, which is called registration or scan matching. He has implemented a scan matching algorithm for 3D environments (also based on DE). Loop Detection (detecting when the robot is navigating through a known place): he has developed a loop detection method that compares features extracted from two different scans to obtain a loop indicator. After that, the accumulated error can be minimized to give consistency to the global map (loop closure).This approach allows the introduction of very different characteristics in the descriptor. First, the surface features include the geometric forms of the scan (lines, planes, and spheres). Second, the numerical features describe other several properties (volume, average range, curvature, etc. ).